Colours, names and numbers: why is it ‘iPhone 7’ but just ‘MacBook Air’? Phil Schiller introducing the iPhone 7/Plus in San Francisco. Yes, but why “7”? Photo by tuaulamac on Flickr. Yes, Apple launched new phones the other day. Yes, there isn’t a 3.5mm headphone jack – which will cause varying amounts of trouble for people and accessory makers. There are “AirPods” to buy ($159, or £159 – even with VAT that doesn’t make sense on the exchange rate front). 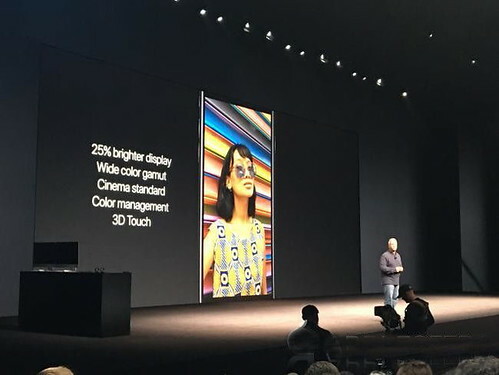 We know too that Apple faces challenges: the premium smartphone market is saturated, so that pretty much all sales now will be to people who are replacing an existing smartphone; and Apple only targets the premium end, since even the iPhone SE (which does have a 3.5mm headphone hack, and a 16GB model) starts at $350, which is the lower limit of what analysts call “premium”. But there’s a subtler question around this iPhone. And it’s this: why does Apple call it “7”? Sure, they’ve moved things around, and redesigned this and tweaked that (oh, yeah, headphone jack has gone). This is known as a “refresh” in the business. 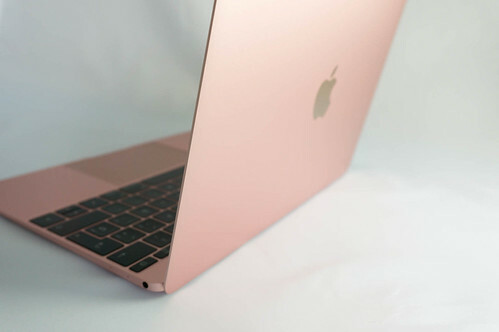 The MacBook. Who can tell which year they’re from? Only the colour indicates that the right-hand one isn’t from 2015. Photos by tuaulamac on Flickr. So why do we have a number for this product, and yet when the MacBook line had a refresh earlier in 2016, that wasn’t called “MacBook 2” – or even “MacBook 3”, as there was one back in 2010? Similarly, the expected and long overdue refresh of the Mac Pro isn’t going to be the “Mac Pro 2”; nor is the MacBook Pro line going to get a “MacBook Pro 9”, given that there have been eight iterations already since the line was introduced in February 2011. Colour as a “novelty” signal has long been a favourite for Apple: remember the original iMac, in “Bondi blue”, where the colour range then expanded – signalling how much newer your model was – until it went mad with the Dalmatian range. Of course if the numbering system were used for the iMac, we’d be up to something like “iMac 20” by now, what with all the variations of the 1998 teardrop, the lampstand, and now the flat-panel version. Yet the more you look across the product range, the more peculiar this choice of numbering only for phones becomes. It has even been dropped for the iPads; where we used to have iPad 2, 3, 4, and then “iPad mini”, and then Air and Air 2, we now just have iPad Pro and iPad Air. (And mini. Not sure how long that will survive. It’s something of an “iPod touch for the iPad range”.) There’s the Apple TV. Can you tell them apart? Only by size. They don’t get “Apple TV 4”. Airport Express? Airport Extreme? And how about the iPod? That didn’t get numbers – though it did get descriptors as the range grew (“Classic”, “mini”, “nano”, “shuffle”, “touch”). The changing design was itself sufficient differentiation, perhaps. Here’s another example from a saturated market: cars don’t get numbers. They get names. There’s the Ford Focus, the Vauxhall Zafira, the Chrysler Plymouth, and so on. Ah – except as John Dodds points out, BMW uses numbers for its ranges (BMW 3 series, 5 series). Hmm. Note, by the way, that the Watch is getting a “Series 2” moniker, and also new materials and colours. But the descriptors (“Edition”, “Sport”) have been abandoned. What’s in a name and a number? Why not do the same on the PCs then? It’s not that there’s suddenly a temptation to slide past a lengthening upgrade cycle; Apple used to upgrade them every six months or so like clockwork, but recently has become less interested in doing so. But it didn’t have a number or even descriptor for its PCs back when it was pushing new ones out. Add in the fact that it’s almost impossible to differentiate between the iPhone 6/6S/7 (and 6+/6S+/7+ – except the latter has dual cameras) except if they’re in unusual colours, and you have a conundrum. Apple attaches numbers to these products in its marketing; yet there’s none on the devices themselves. Perhaps it’s to help people pretend that they have the latest when in fact they don’t; the “unashamedly plastic” 5C sold comparatively poorly (against expectations if Apple had simply continued the iPhone 5, which is what the 5C actually was inside) perhaps because owning one indicated to the world that you didn’t have enough money to buy the top-end new model, the 5S, and that you hadn’t had it the year before either (because you’d have had the 5). The only other question is: when will Apple stop numbering its iPhones? Will the 2017 version, being the tenth anniversary edition, be the “iPhone Edition” or some such? 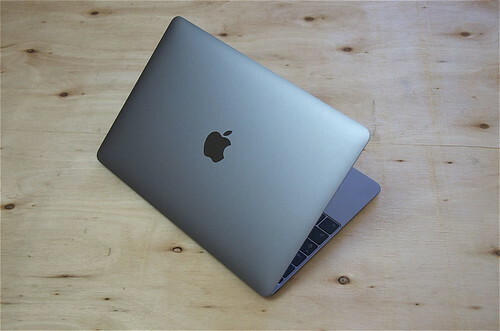 Once you’re on this thing, it seems unlikely to stop – but I can’t wrap my head around the concept of 2020 rolling around and the “iPhone 9” being unveiled while a few weeks later one of the PCs gets an update that makes it autonomously intelligent with VR, and yet it’s just called “the MacBook”. Liked this? Each day there’s a Start Up post with links and commentary. You can sign up to receive each day’s Start Up post by email. You’ll need to click a confirmation link, so no spam. Also, Apple Watch: you have the original one, now the new one (Series 2), and Series 1 (the original but with the new processor retrofitted). Three generations, two confusing names. On cars, in the US it’s actually fairly common to refer to the the model by it’s year – a ’67 Chevy Impala or a 2017 Ford Mustang – http://www.ford.com/cars/mustang/features/ – for example. And how could you have gone the whole article without a mention of the mother of all crap naming, Windows: 1, 2, 3, 3.1, 3.11, 3.12, 95, 98, NT 1-4, 2000, Millennium edition, XP, 7, 8, 8 RT and (even more inexplicably) 10. Yes. Model Years as a marketing technique date to 1920’s General Motors and Alfred Sloan, when Sloan crushed Ford Model T with this idea plus segmenting the car market. Been a staple ever since, but particular with cars in US. Early in tech cycle, the model years are used to show marked improvements in features and quality. Windows 1,2,3. But later they become more about fashion/style. Think Windows 95 (which literally took the car model year idea), and then Windows 7,8, 10. And of course 1920s forward model years for cars. So in tech, we typically get engineers who like software versions at first. But later as differences are more cosmetic, this model numbering becomes less useful for that purpose, and naturally wants to become about marketing/fashion, which may or may not fly with tech nerds in charge, but marketing types normally find perfectly good and useful. Clothes of course have long been about style, so have seasons. So…..Apple is a very odd company. Wall Street would push jumping to fashion style mode, and hence keeping numbering up. That is the normal path. Microsoft windows followed it. But for Apple, if they can get other products to get off the ground like say AirPods become stand alone voice devices in a few years, who knows, maybe they drop the iPhone numbers. But suspect a few years off, if it ever. Financial pressure will be high to keep numbers. I think it is because when they update the MacBook they stop selling the older version but with the phones they usually continue to sell previous model at a lower price. Reasonable – that makes sense.